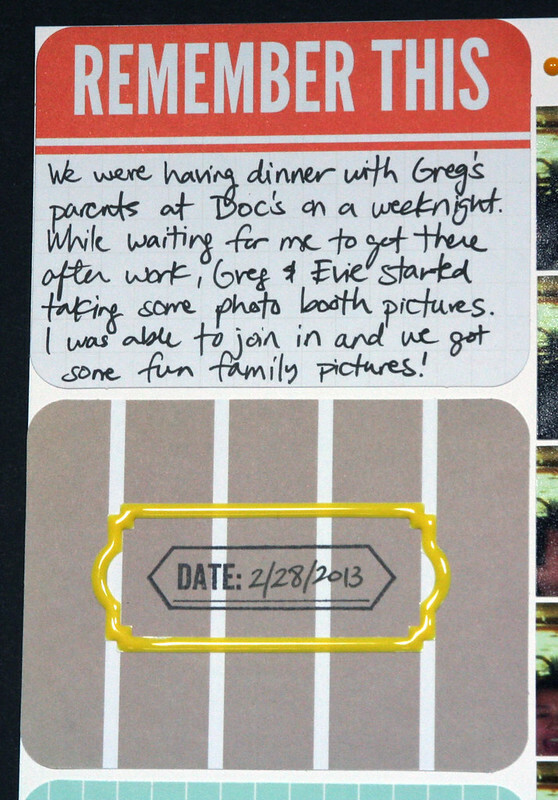 I'm a fan of photo booth pictures, and I had these Doc & Eddy's photo booth pictures waiting to be scrapbooked, which I finally did last month. 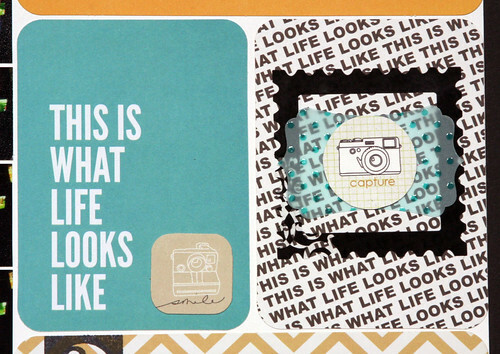 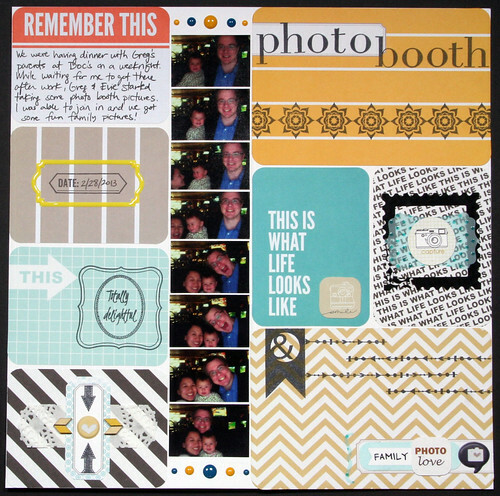 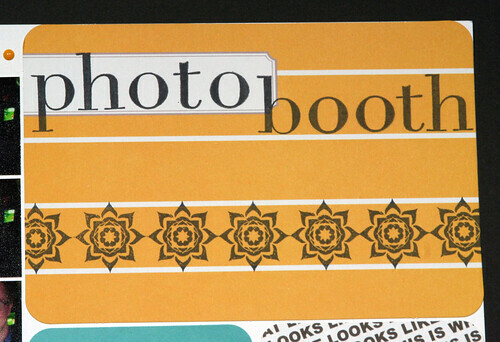 I used the Project Life Seafoam Edition Core Kit (designed by Elise Blaha Cripe) as the base of the layout and followed a more traditional pocket scrapbooking approach (except on paper instead of in actual pockets), which lent itself to very compartmentalized scrapbooking. 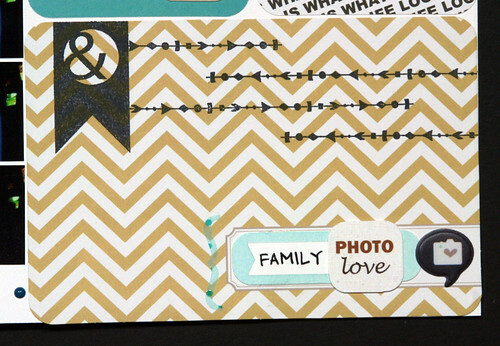 I added various stamps and embellishments to each journaling card.